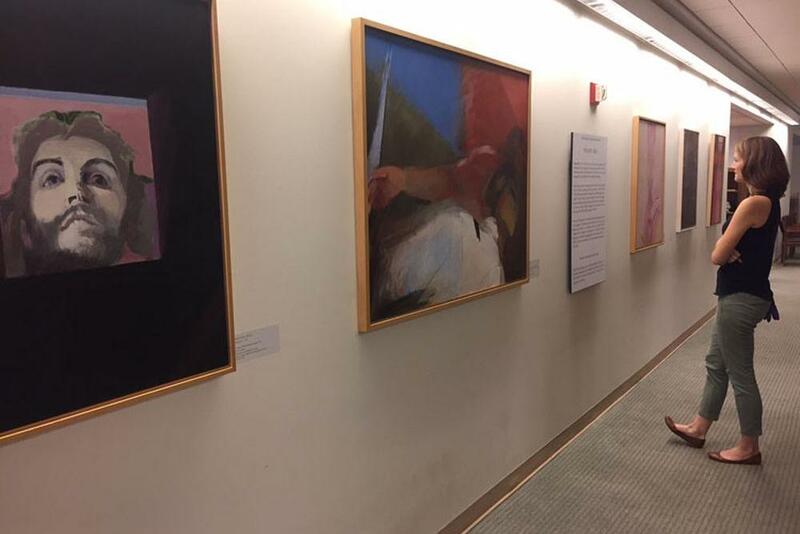 Installation view of paintings by Roser Bru located on the second floor of Swem Library. Five paintings by the Spanish-born, Chilean artist Roser Bru are now on view on the second floor of Swem Library. Bru, born 1923, is one of Latin America's most significant contemporary artists. As a refugee of the Spanish Civil War, Bru is the last remaining passenger from the 1939 voyage of the SS Winnipeg, also known as the "ship of hope," that brought 2,200 passengers to Chile. Bru's paintings tackle themes of political unrest, the history of art, and women in society. She has received numerous awards for painting and has exhibited internationally. These five paintings, part of The President's Collection of Art, were donated by Juan '86 and Katrina Conde in 2013 with the aim to promote diversity in the public art program on campus. 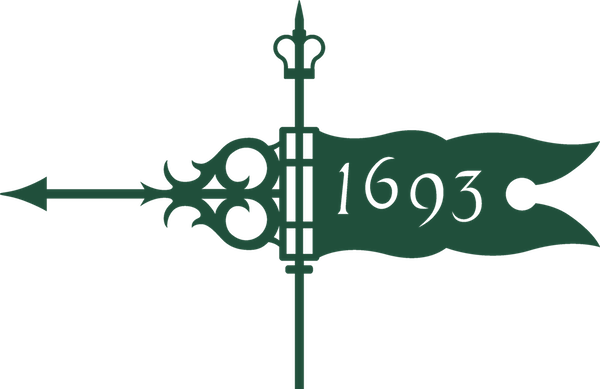 The paintings will be installed throughout the 2018-19 academic year as William & Mary commemorates the 100th anniversary of co-education with its 100 Years of W&M Women celebration.